The weather’s giving me a bit of a chuckle…we seem to have completely skipped ahead from a miserable Sprinter to a blazing heat wave, with temperatures in the high twenties (around 80 degrees Fahrenheit) and wildfire alerts. I stopped by the garden centre yesterday to pick up some soil and the place was absolutely hopping, cash registers (and store managers) singing. This is certainly not your typical early May in Calgary. While the squill, chionodioxa, puschkinia, muscari and daffodils in my flowerbeds are looking a tad wilted, despite my supplemental irrigation, most of my perennials are in speed-burst growth mode, completely hopped up on sunshine like the rest of us (though at least the plants haven’t also developed the heat-induced addiction I have for pineapple-mango smoothies). I’ve never before had to haul out the watering can this early in the season! I managed to get out on the weekend and do some maintenance in one of the beds – mostly just trimming back the stalks I had left up over winter, and scraping leaves out from beneath the junipers – and it looks like nearly everything emerged from our plodding winter unscathed. I may have lost a couple of Salvia x superba (unknown cv), and the donkey tail spurge (Euphorbia myrsinites) that is usually blooming by now is a crispy husk. The loss of the spurge doesn’t break my heart in the slightest – I always found it a junky plant, lolling all over the place. I don’t know why I thought it would somehow stop being so floppy when that’s the whole point of the thing. It only really made me happy when its acid-yellow flowers showed up earlier than nearly everything else in the bed. 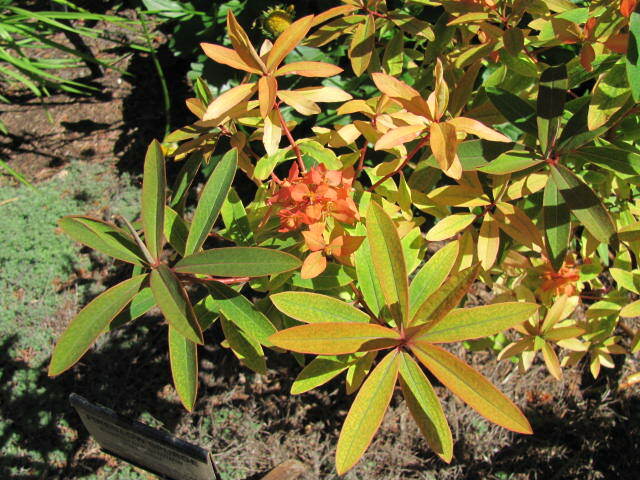 If I replace it with another spurge, it will definitely be the far tidier Euphorbia polychroma or perhaps Euphorbia griffithii ‘Fireglow,’ which I admired at the Calgary Zoo last summer. 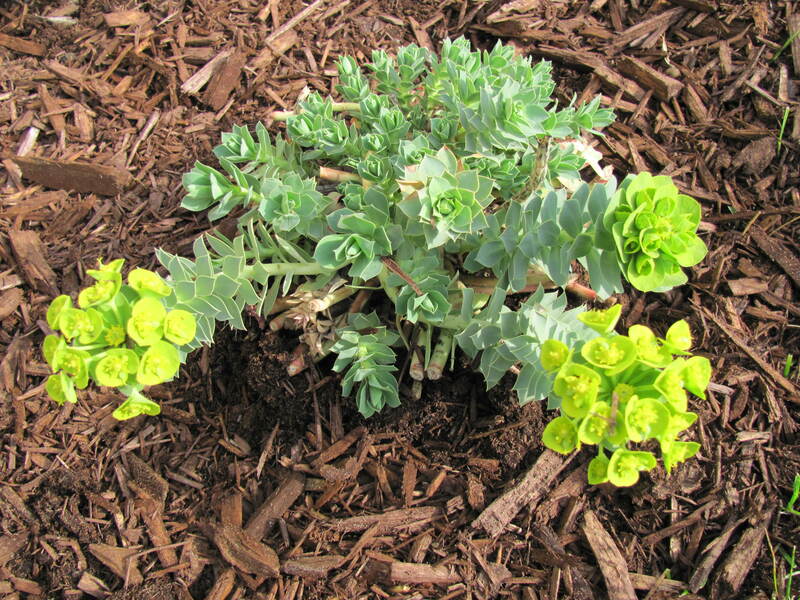 ‘Fireglow’ spurge – should I or shouldn’t I? In the next couple of days, I’ll finish the clean-up tasks and work some compost into the flowerbeds, but I will wait a little bit longer to do any planting. I don’t have the luxury that some gardeners have of covering their plants or hauling their containers into the garage if the temperature suddenly plummets, and right now we have the pleasant problem that it’s just a bit too hot to plant anything out. Instead, I’ll head out to my raised vegetable beds in the community garden and do the prep work needed there. I’ve doubled my rental space this year because I’m slightly crazy endlessly enthusiastic, and I’m still planning to construct the mini hoop house that I was contemplating way back in frozen February. I’m absolutely ELATED to be finally doing some work in the garden! What gardening tasks are currently top priorities on your list? This entry was posted in Botany, Flower, Gardening, Horticulture, Photography, Plant and tagged Calgary, Calgary Zoo, Euphorbia, Euphorbia myrsinites, Garden. Bookmark the permalink. ← Could it really be here? We’ve had such a crazy Spring here as well. We didn’t stay cold nearly as long as you, but when winter gave up, we went straight to summer for a couple of weeks, then back to winter, then summer, now cool drizzly spring. It will be interesting to see which plants can hack this nuttiness. It sounds as if it’s that way in much of the States…I wonder if we’ll get the same thing here. I took a look at the long range forecast and it is showing heat and no precipitation into the month of June. I don’t think I can recollect such a dry May. Enjoy the warm weather! I hope you get sufficient rainfall. Our spring has had above average rainfall and has been cooler than normal. Your Euphorb’s are way ahead of us here in Edmonton. 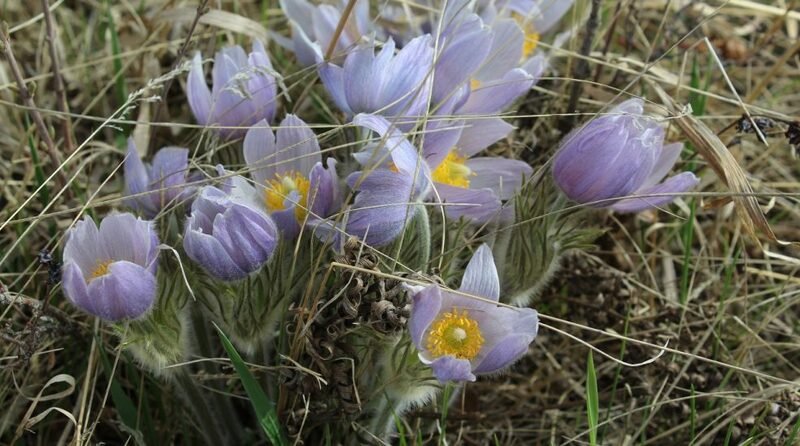 Blooming in our garden: pasque flower, Siberian squill, lungwort, and the march marigolds will pop any minute. Still busy with garden clean-up though! Tons of tidying yet to be done…it’s so lovely to work in the sunshine, though! 🙂 Nice to see those early blooms as well! I hear you about the weeding – the dandelions and quackgrass are out to lunch in my flowerbeds, and I just weeded the day before yesterday. I’m not sure I can keep up at this point! It’s good that you’re getting a bit of rain and cooler temps so you can do some planting! We will have to hold off here for awhile. Glad you can get out and do some gardening – don’t get sunburnt! I’m still tidying up and weeding, weeding, weeding! Good luck with your gardening and don’t over do it! Hey Sheryl! Great write-up for this time of the year! We are in the same boat as you are when it comes to the planting and weeding of the flower beds. Our tulips are starting to open up now really quickly actually, and I just managed to water all of the plants this morning. Some were terribly dry and I didn’t want them to bite the dust before they got a chance at life this year. So glad to finally get the warmth and the sun and looking forward to the rest of the plants to come up – that way I know what we should be planting, weeding, changing, whatever. Happy Spring planting season!! Same to you! 🙂 Enjoy this wonderful, sunny weekend! My top gardening chore/love right now is planting the vegetable garden. It is 3/4 planted with some things under row cover just in case… I love freshly picked vegetables! Do you have a large veggie garden? It is lots of maintenance, but so worth it – I agree, there’s nothing in the world like fresh vegetables! 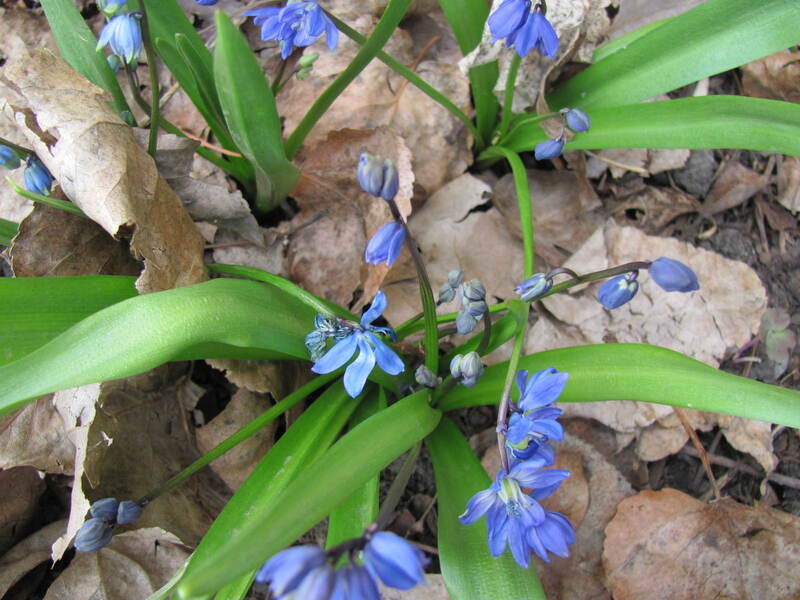 Enjoy gardening this season – I hope you have a wonderful time and much success! Your choice of the word Sprinter made me laugh.